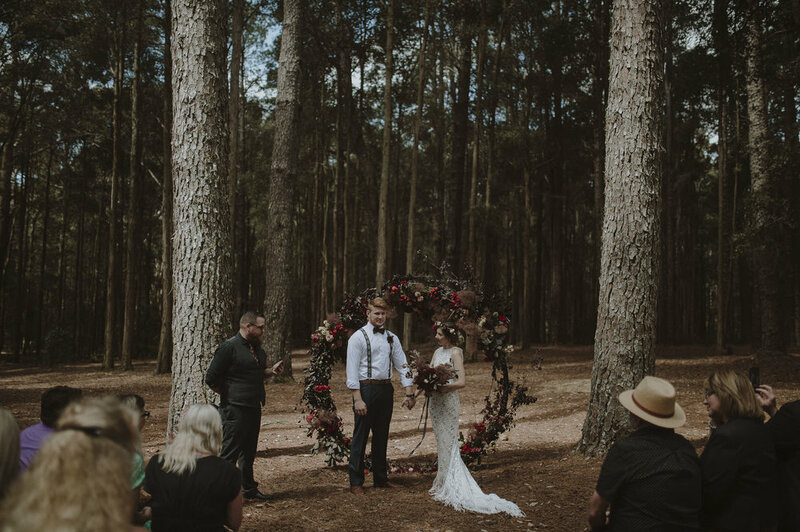 This beautiful collection of mammals congregated to the forest of pines amongst the wilderness to witness the merging of two specific humans hearts in love! 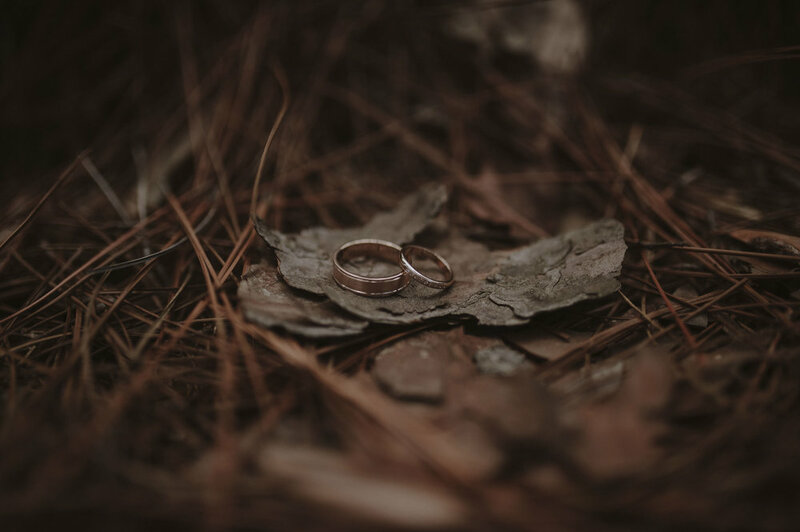 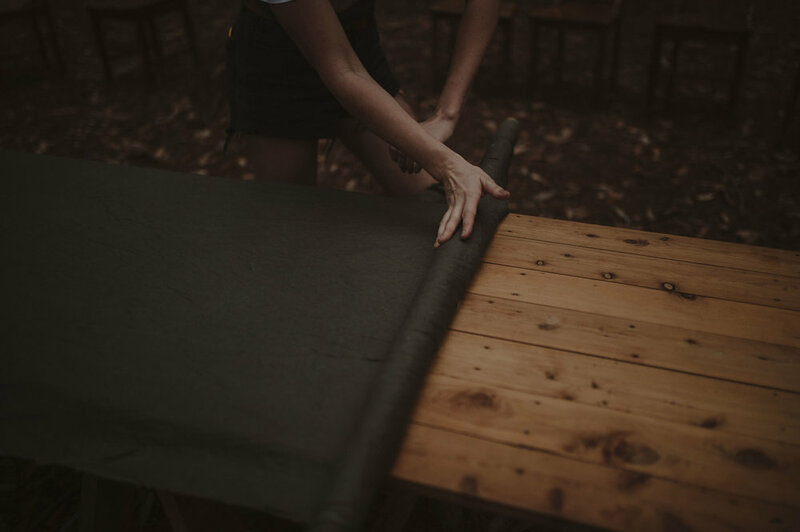 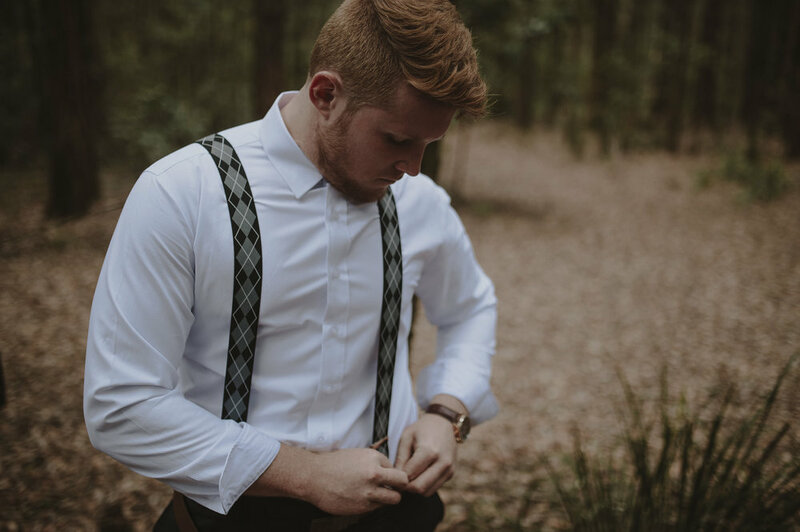 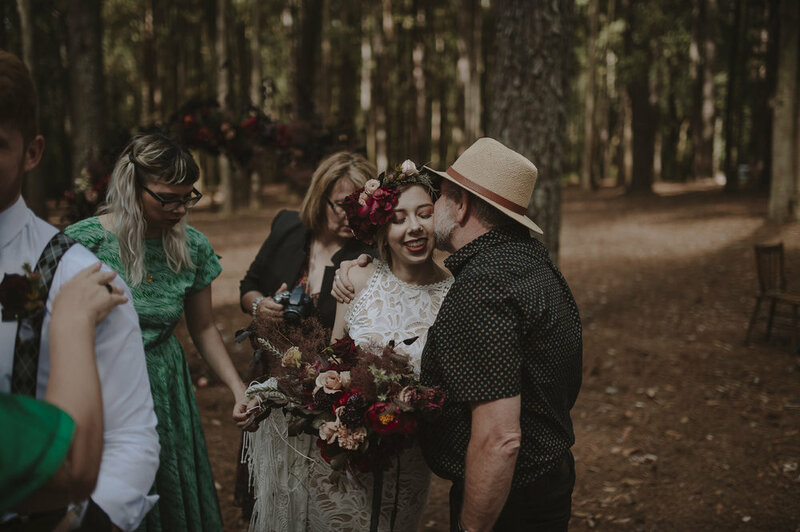 We originally planned to do the elopement at a different location in the Watagens, but the weather was iffy so we decided to relocate to the forest for protection. 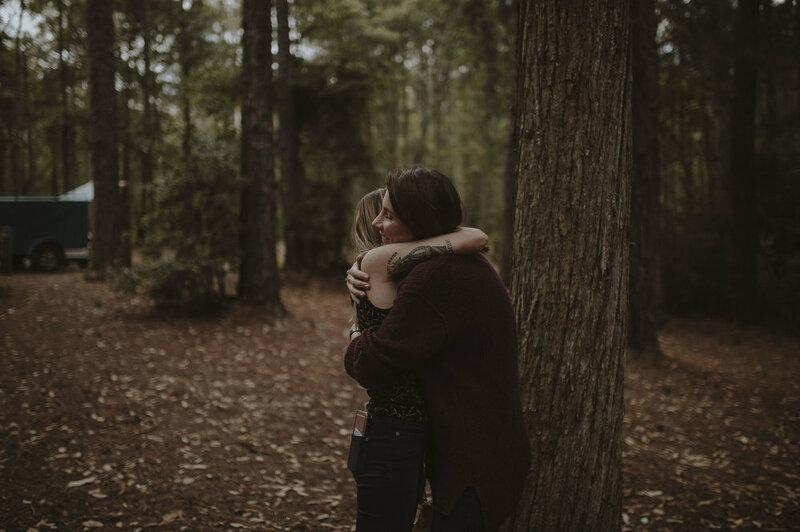 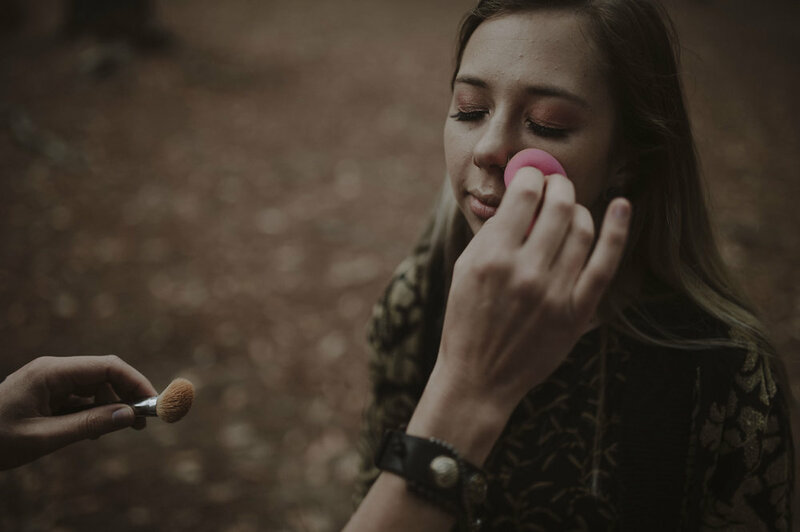 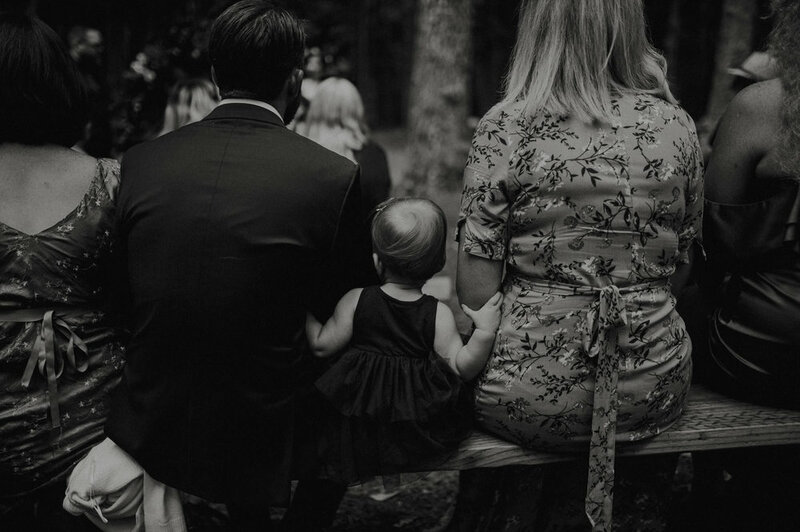 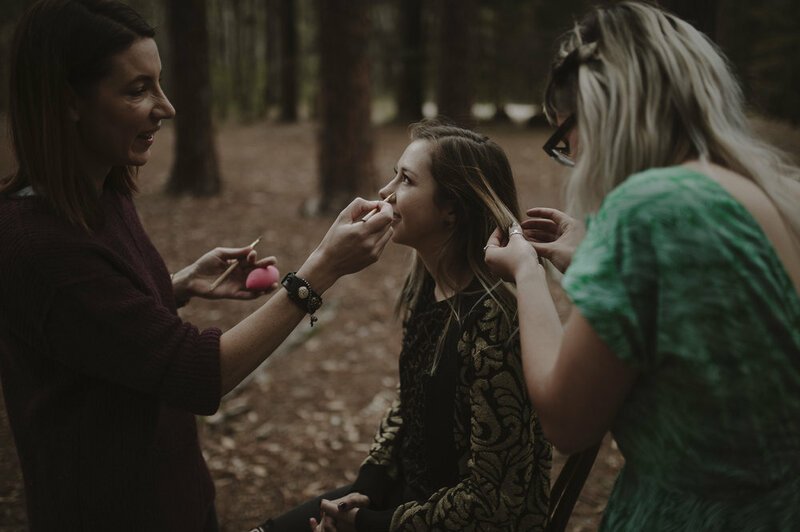 Hannah & Jamie both got ready in the forest as their family slowly starting arriving. 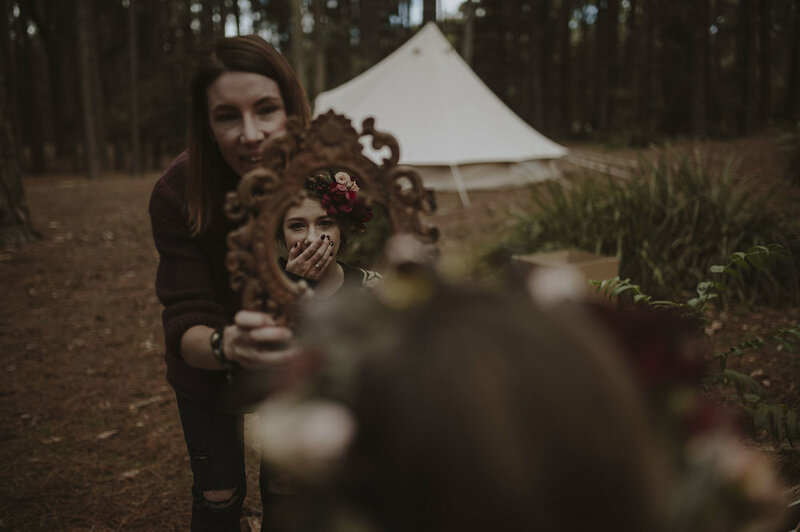 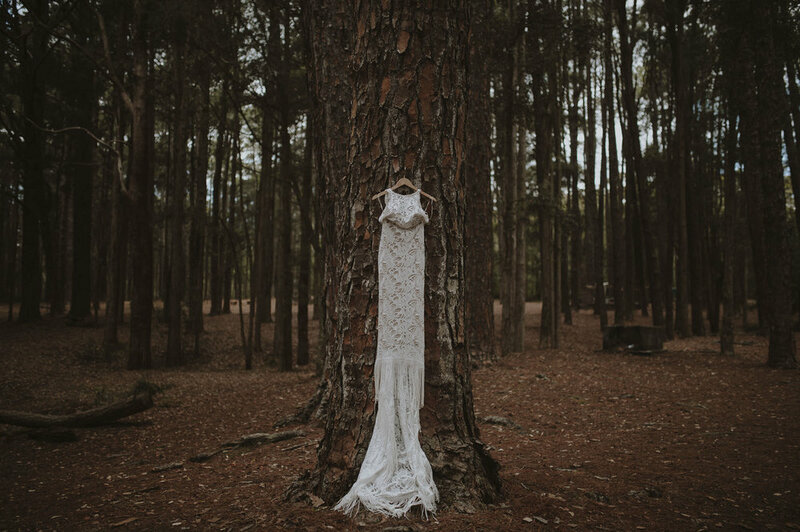 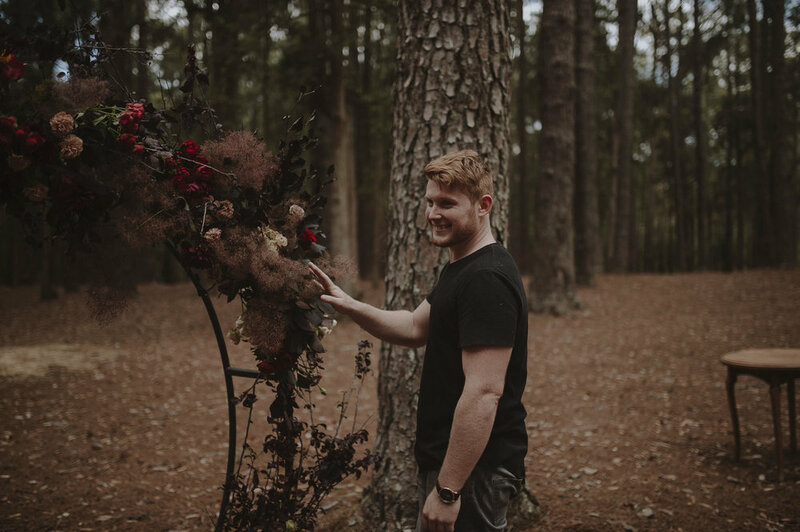 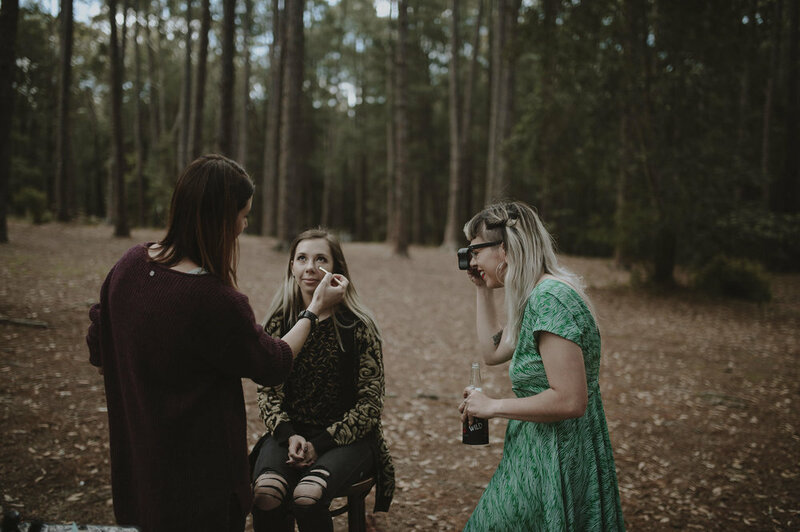 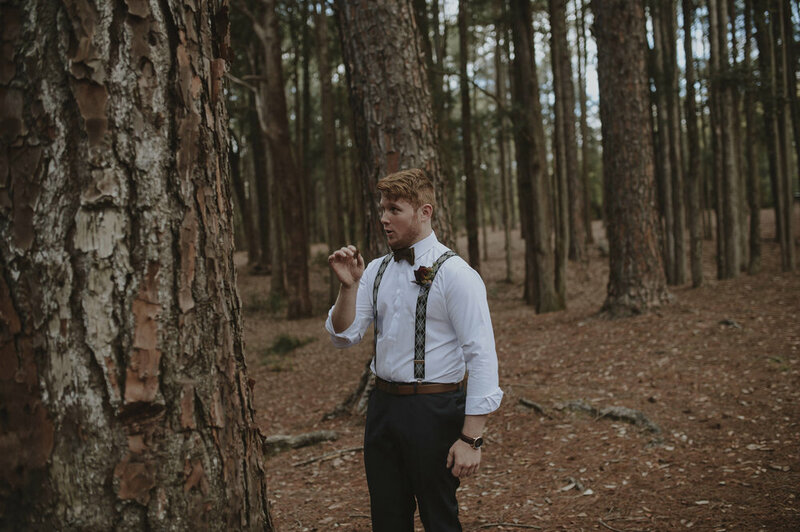 Once dressed and the final touches were applied by Tanya from Chic Artistry, Joel from Barefoot & Bearded staged a wicked little first look as Jamie didn't know his soon to be wife was on the other side of this huge pine tree! 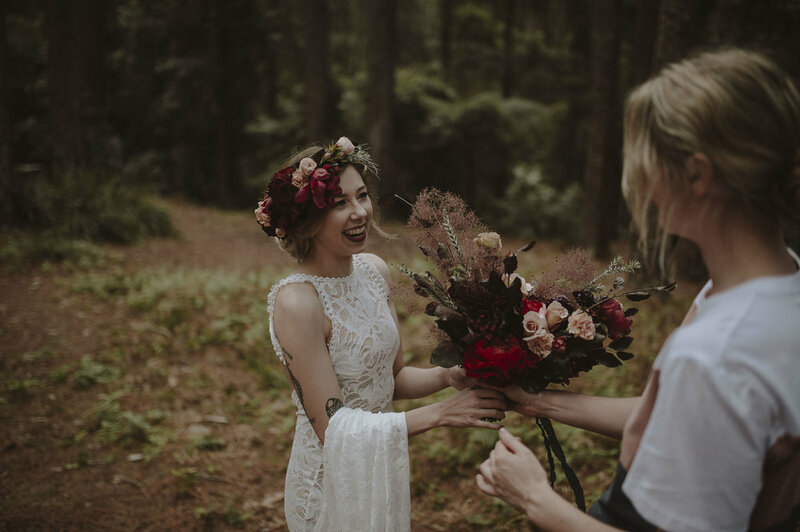 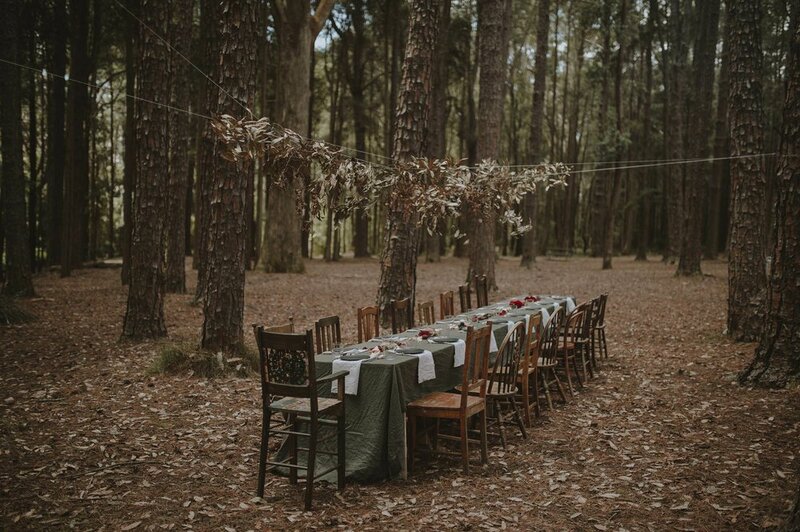 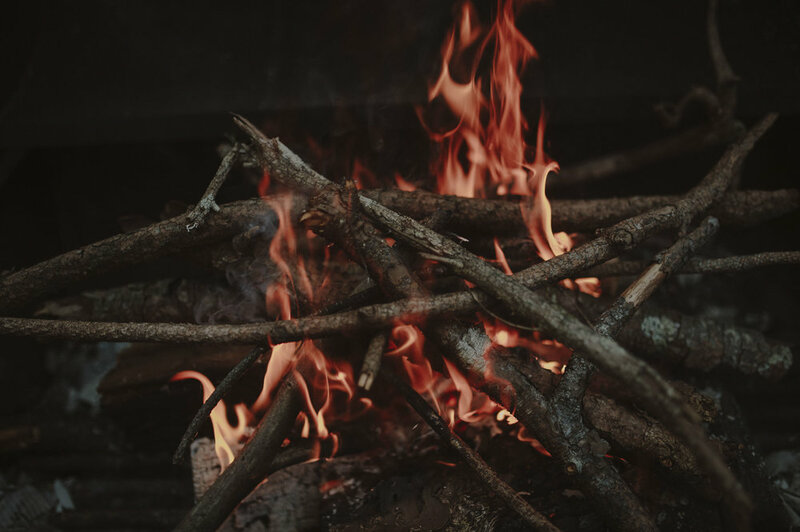 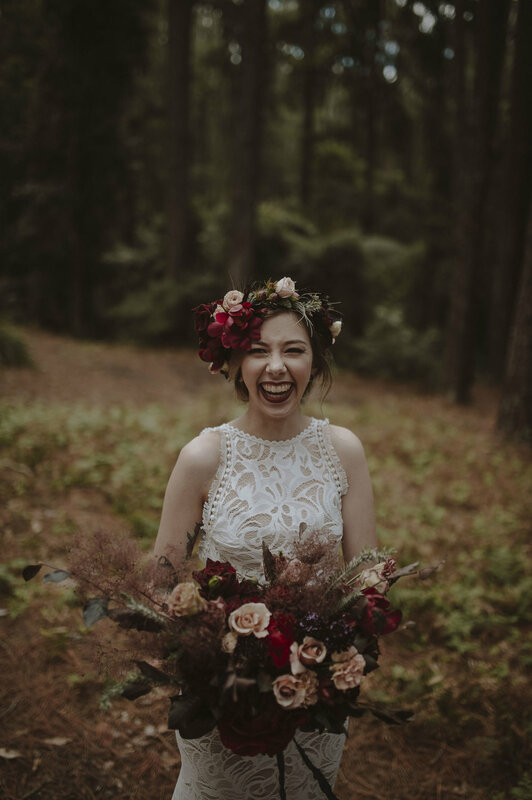 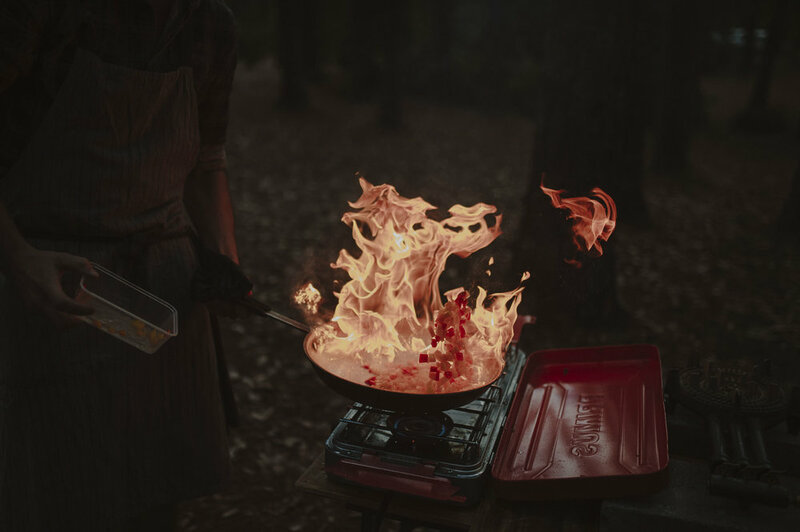 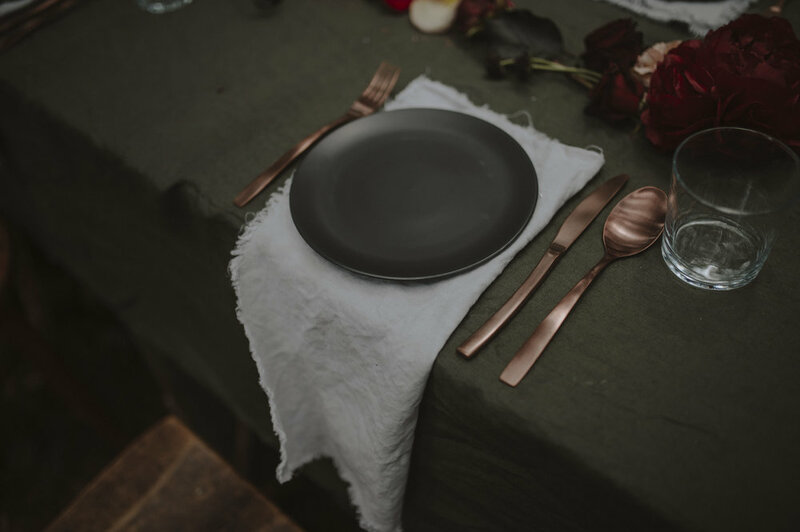 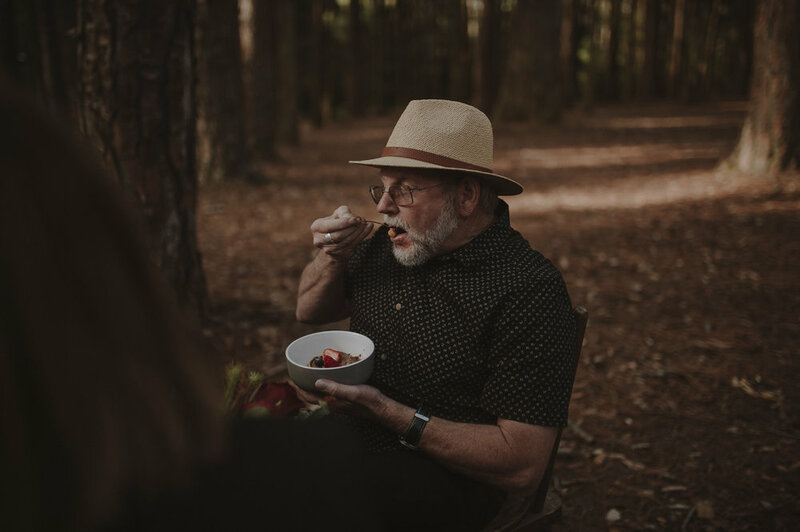 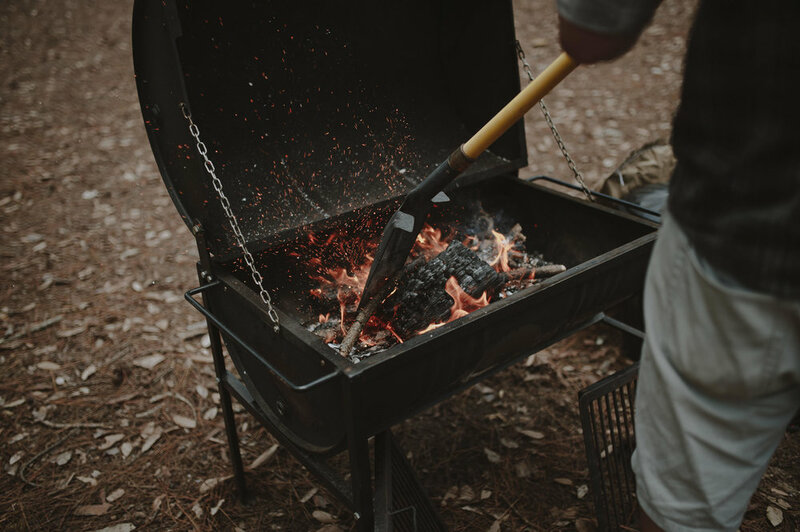 Once the ceremony was done and dusted, Ash from Film & Foliage (with her floral and styling magical powers) and Cooper from The Wilderness Chef (completely creative culinary creations) combined their powers to create such an epic feast! 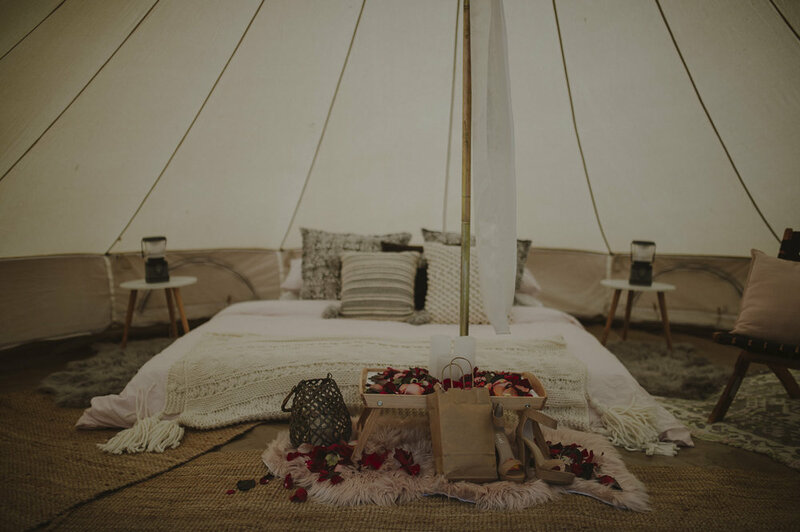 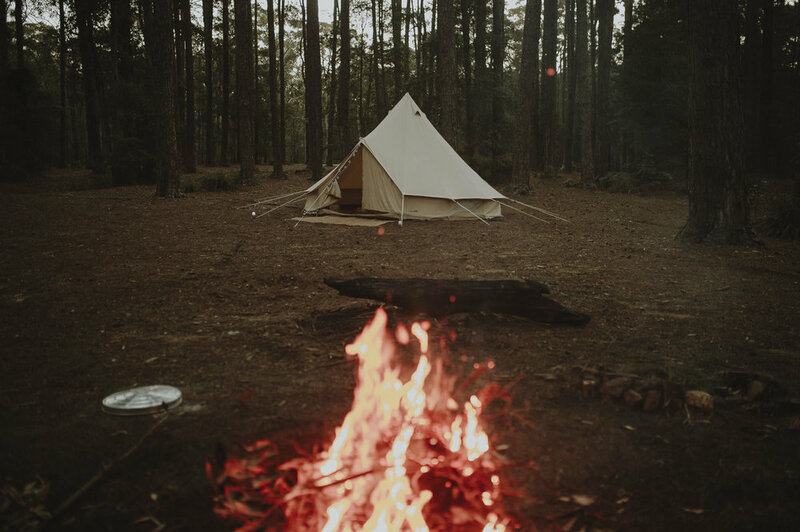 Thank you also to Nomadic Belle for coming along to provide an awesome little Glamping set up for the bride and groom to spend their first night as husband and wife! 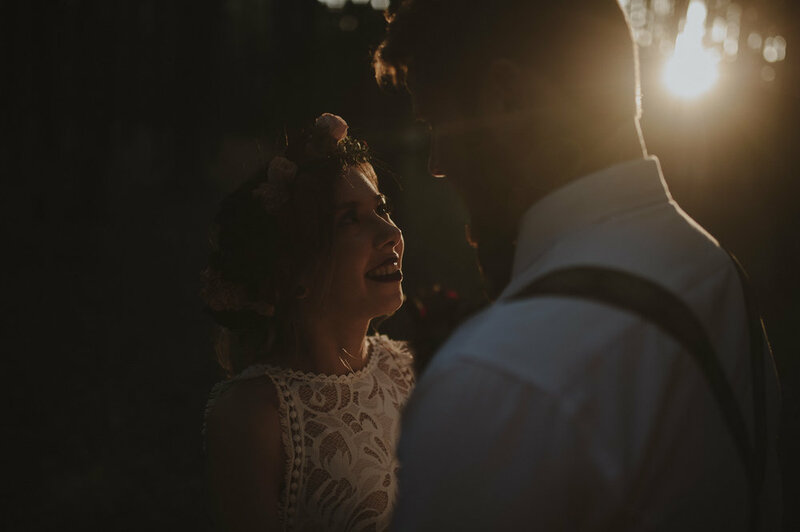 Not a bad way to start off a marriage I reckon.